In String manipulation sometimes we may need to break the string into each separate or individual character. In java we can do it easily using toCharArray() function. 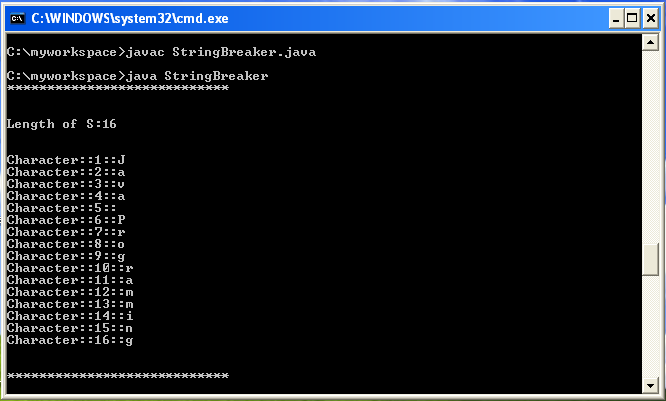 In the given example, string “Java Programming ” is broken down into characters where you can see that the length of that string is 16 (including the space between “Java” and “Programming”) and the whole string is broken into each individual character , where we have stored that characters into an array.